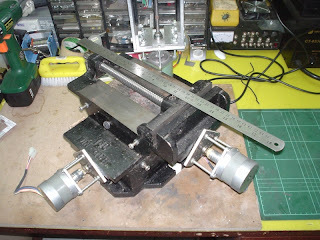 The modified milling table. The ruler is 18" long and placed there for size reference. The Z-Axis is also about 18" long. 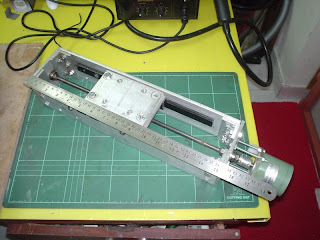 Two THK linear slides on the inside and driven by 1/4" threaded rod. 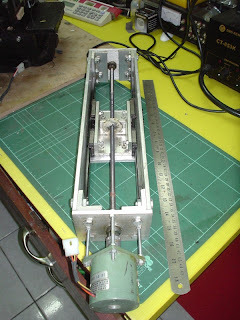 The backside of the Z-Axis to show the motion related parts. All stepper motors are bipolar and coupled to the leadscrew using flexible couplers.